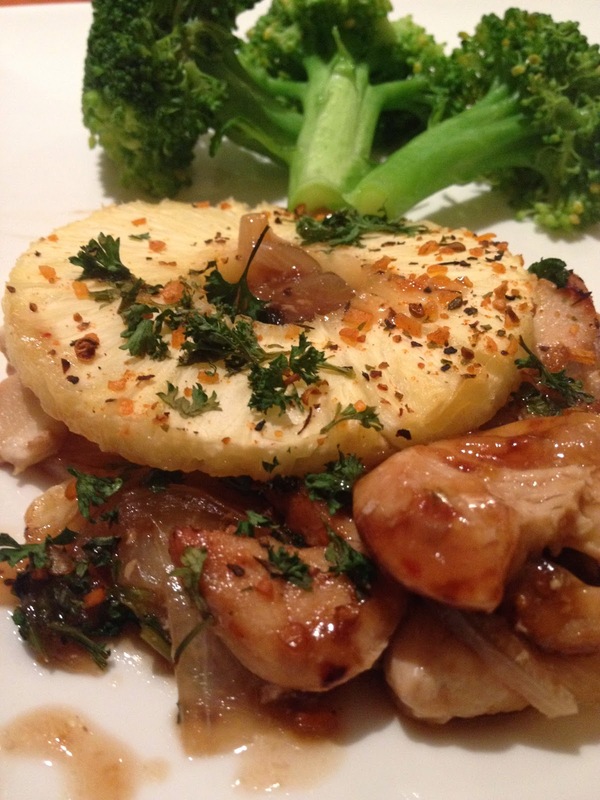 Baked teriyaki chicken and pineapple, served with steamed broccoli. 1. 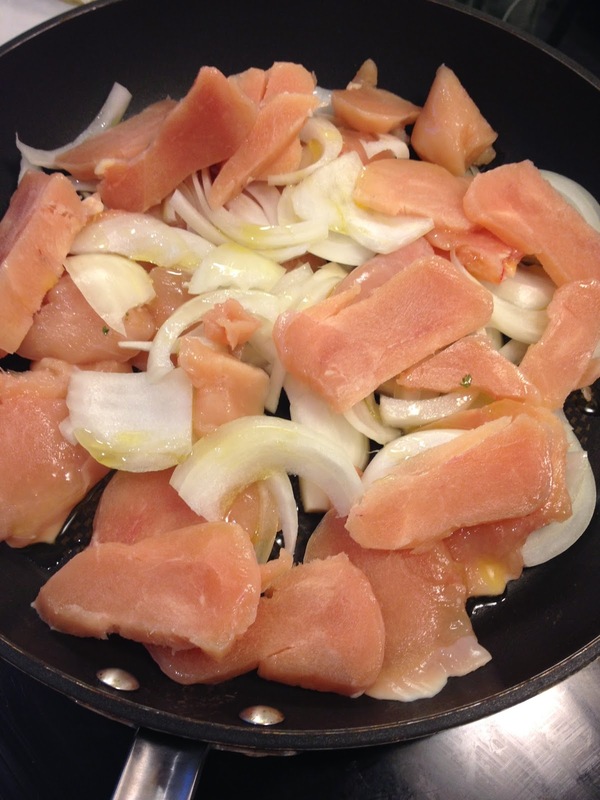 Cut semi frozen chicken breast and half an onion into thin slices. 2. Add onion and chicken to a pan with 2 tsps of olive oil on medium heat. Cook for about 8 mins. 3. 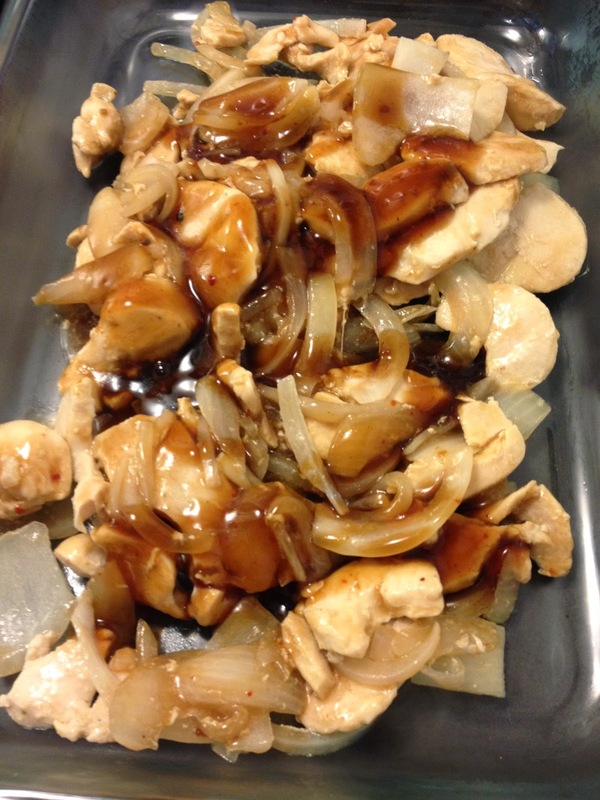 Add onion and chicken to a oven-safe pan, add the teriyaki sauce and mix. 4. 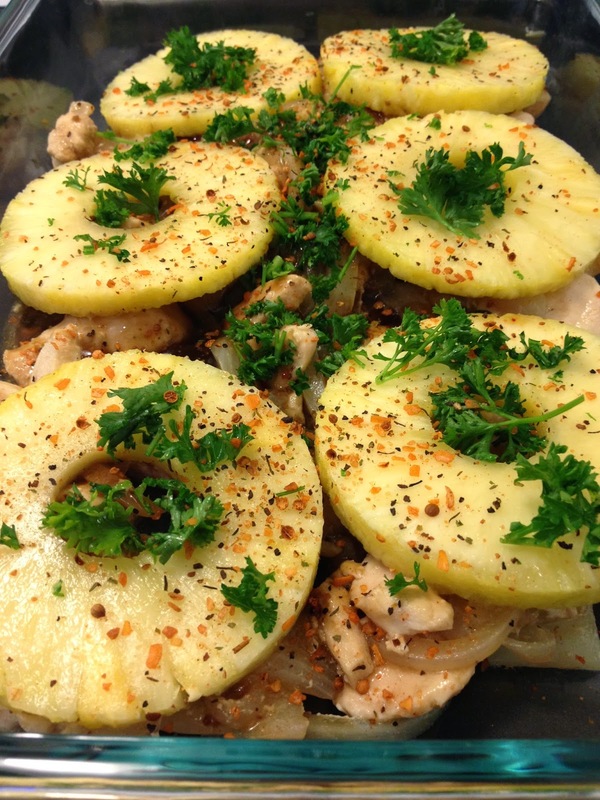 Put the pineapple slices over the teriyaki chicken and garnish with spices and parsley. 5. Cook in the oven on 350 for 30 mins. While waiting, steam 3 cups of broccoli on the stove top. 6. Serve immediately and enjoy! I have been tempted to make a sweet dish for a while now. This turned out to be an amazing dinner my family and I had that was basically made up on the spot. 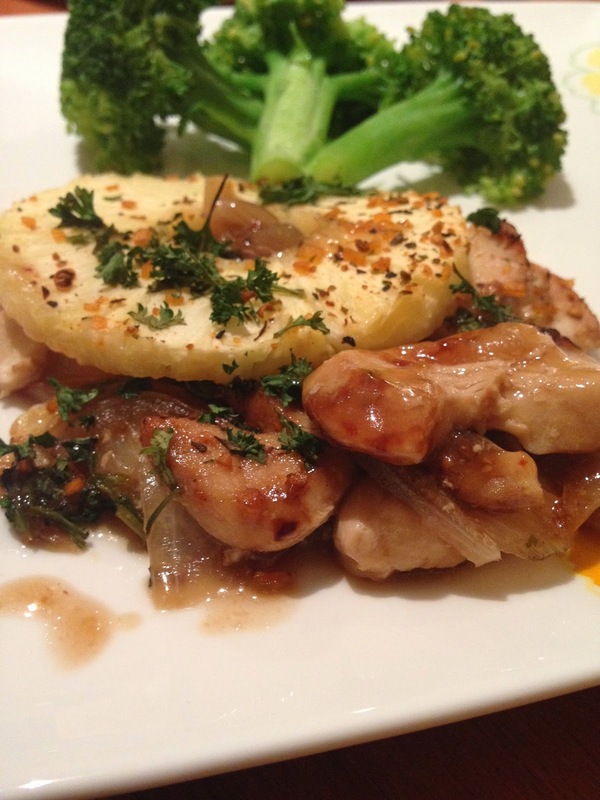 This version of pineapple chicken was easy to make, really tasty and pretty low in calorie. Try it out if you're in the mood for something sweet (yet healthy) and let me know what you think.